Have you always wanted to manage your own business but never knew where to start? 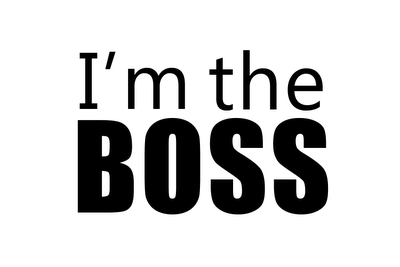 Maybe you are a natural born leader and just need the right opportunity to strike (gold, I mean). Every business was once a start-up and some have reached unimaginable heights. The requirements you must meet are a good product/service idea, the conviction to succeed, and access to the Internet – literally. If so, read on. It’s your lucky day! Let’s start off with some stats. According to the Huffington Post’s Social Media Statistics, businesses are starting to establish a social media presence as an increasing number of consumers prefer to connect with brands they like on their social media platforms. According to the metrics displayed, potential investors and networking opportunities are bound to present themselves through social media. As a result, we compiled several steps you should take in order to increase visibility and engagement on social media sites. Whether you are a start up business or an established company with authority, you can use these tactics to craft and implement a social media strategy. Before you start considering ways to get likes, shares, and tweets, you should start by customizing your profiles with interesting and sharable content. In addition, you must choose your social profiles carefully. It’s often better to focus on one or two rather than having 5 profiles you won’t have time to update and manage. Choose the social media platform(s) that are right for your business. For instance, if your business is B2B, then it would be wise to focus mainly on Google+ and LinkedIn. If your business is highly visual, then opt for Pinterest, Instagram and Facebook. No matter what you choose, it’s important that you first understand what unique benefits each platform offers and which of those is best suited to your business. Crafting a social media content strategy can be a hard and tedious task because of the vast amounts of research you’ll have to do. In order to identify a social media content strategy, I suggest you conduct detailed competitive research, market research, and trending research. In other words, ask yourself these questions. What is your competition posting on their social media sites? Are users engaging with the content? Which Social Media sites are your customers frequenting the most? What times are they most active? What are the current trends for your product/service? After you successfully answer all these questions, create an action plan for your strategy and put it down on paper in case you need to tweak it over time, which you surely will. After you’ve considered which social media platform(s) to use, it’s time to start setting up. If Facebook was one of your options, then you should consider integrating Facebook iframe applications like Involver and Pagemodo. These will revamp your profile and make it more engaging for your visitors. Be sure to include a Facebook banner design that includes a clickable call-to-action to maximize the number of conversions, especially if you’re just starting without a website. 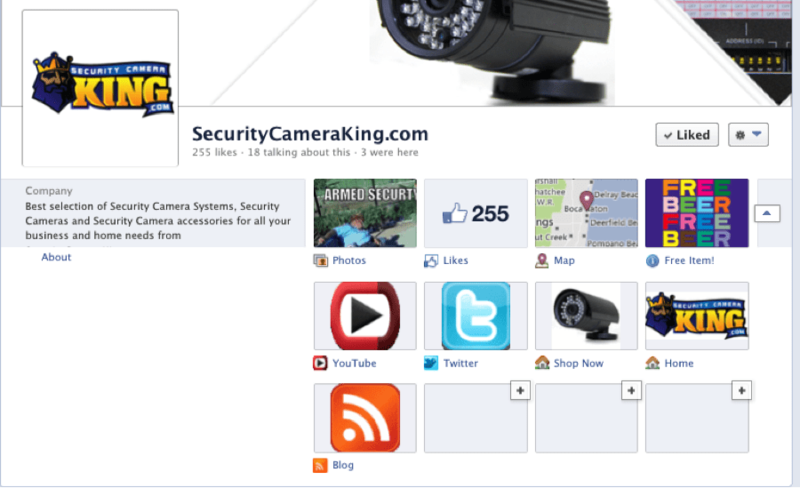 Side Note: Facebook now allows calls-to-action to be included in the banner designs. Another factor to consider during the set-up process is writing SEO friendly company descriptions. These will help your Google Search rank. Once you’ve set-up your social media accounts it’s time to start executing your strategy. Like I mentioned before, it would be a good idea to create a content schedule you can follow day-to-day. I would recommend using Hootsuite or TweetDeck if you want to manage all your accounts together. If you have a website, remember to promote your content with customized homepage banners or calls-to-action. If you get decent traffic to your homepage, which you can check with Google Analytics, then you should probably add calls-to-action asking visitors to like or follow your social media page. The same goes for your blog – add a call-to-action to increase your social media presence. It’s important to take into consideration what times your audience is most active on social media. To gain maximum exposure, I suggest you use the Buffer app to schedule your posts during those times. Every business owner wants/needs to convert users into customers. Until recently, social media wasn’t exactly seen as a platform that could potentially help users convert. Nonetheless, that’s gradually changing as it becomes easier to find brands participating in social Media through friends, recommendations and facilitated accessibility. It’s important to focus on reviews for any and every product/service. These can often make or break a sale and if you’re just starting out, you can’t loose any opportunities. With that said, ask your past customers to rate you on LinkedIn and Google+. My suggestion is to send them a formal e-mail requesting a recommendation. Sending instructions on how to include a review always helps. Make sure you take time out of your day to do some outreach. For instance, join Google+ Communities, and engage in meaningful conversation. Even if your chatting doesn’t get you an instant conversion, the mention of your name will spark a positive memory. The trick is joining the right Communities. With that said, make sure you do detailed research to determine which platform is most popular with your client base… Ask yourself, what kind of Google+ Communities would they join? Now that you have a few ideas about starting to promote your business on social media, it’s time to put them into action. Before we close, a little word of advice: Be patient. Nothing comes instantaneously unless you were born in a pool full of money. Are you a start-up company struggling to gain visibility on social media sites or in search engine results? Contact us today to discover how we can help!